Spy Optic Bravo Goggle on-snow test. Partly sunny to bluebird by afternoon, 25-30 degrees. Hard-packed fast groomers. 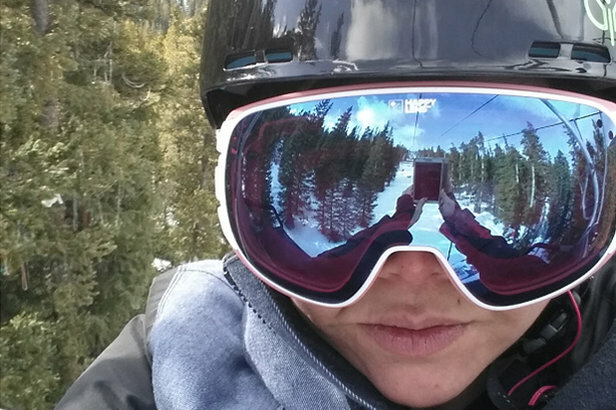 > Style: The Bravo is a steezy looking mid-size goggle that is big, but not too big. The pair I have are adorned with a pretty floral print called Tokyo-Rose. Yes, it makes a girl look very pretty in pink, but not inferior to her male counterparts. > Comfort: Having high-cheek bones, most goggles don’t fit my face well. With just the right amount of foam, these sit comfortably on my face with out a gap along my nose and are adjustable to fit over a beanie or helmet. > Performance: With good peripheral, these goggles function great when sunny outside or even partly cloudy. The goggles come with two of Spy’s signature Happy Lenses, which can be switched out to accommodate conditions. I had on the mirrored option and even captured myself capturing the moment in the mirror of the lens. 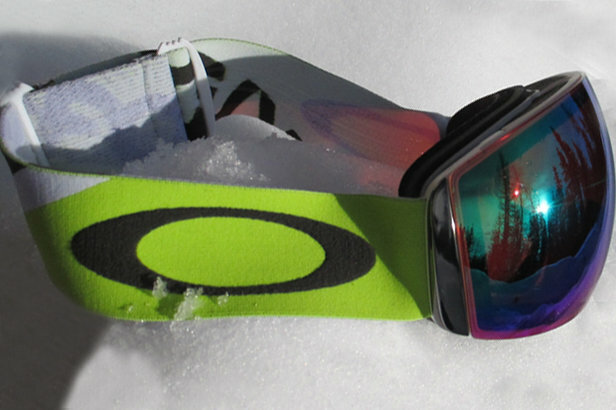 Our on-snow test of the 2015 Oakley Flight Deck Goggle.